Team Ghana is ready to fly the flag of Ghana at the world Junior Table Tennis Championships taking place at Trust Emporium, Bukom. Sadly Team Ghana lost first game by 1-3 to Saudi Arabia in the ongoing World Junior Table Tennis Championship, but coach Eben Nana Whyte said all is not lost, but the Junior Black Loopers will come back strongly. The International Table Tennis event started today April 1, 2019, and the organisers hope Table Tennis fans will be at the Sports Emporium to cheer the players. Stanbic Bank is sponsoring the tournament. Ghana last hosted an international Table Tennis event in 2004. 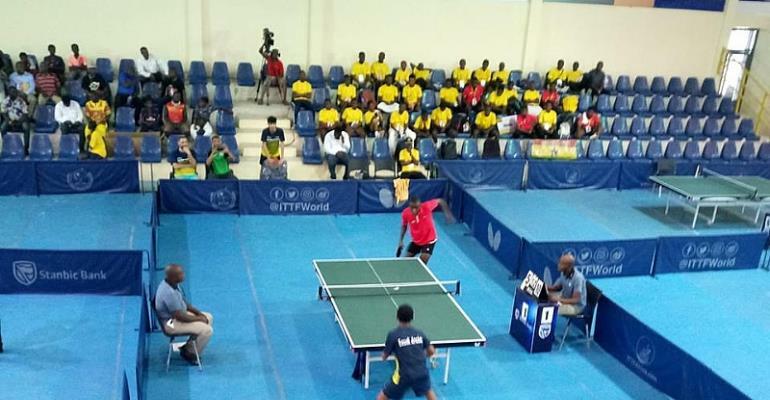 Mawuku Afadzinu, President of the Ghana Table Tennis Federation (GTTF) said the Ghanaian players and coaches are going to benefit massively from the exposure, and the game has brought many foreigners to the country to boast tourism. Two World Championships; the World Junior Circuit (WJC) and African Junior and Cadet Championship (AJCC), are taking place in Accra from the April 1-5 and April 7 to 13, 2019 respectively.